Sure, there may have been a five-month gap in between the iOS and Android release, but Alto's Odyssey is finally here, and it was well worth the wait. 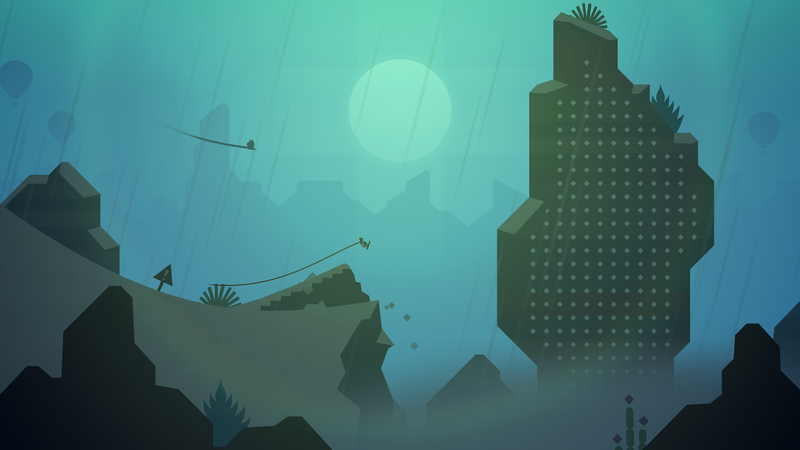 Much like the original Alto's Adventure, this sequel is also a relaxing endless runner that contains a beautiful aesthetic and plenty of unique goals to complete. Such large gaps in between iOS and Android releases can often take the wind out of the sails for any hype surrounding a game. I see it all the time. 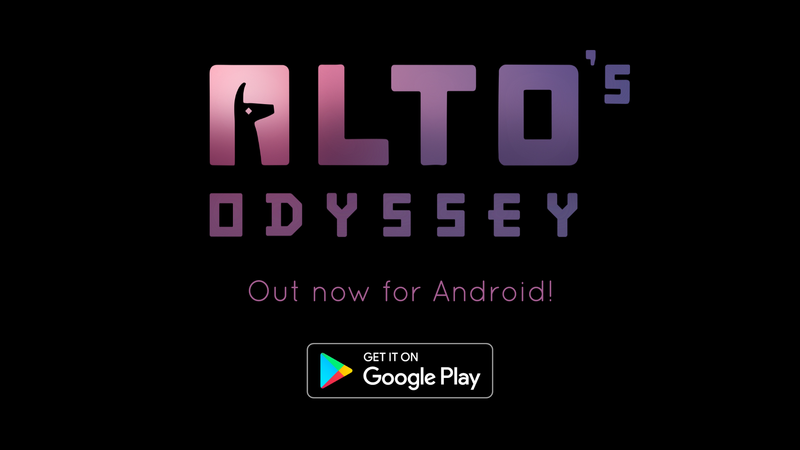 At this point, those that were eager to play Alto's Odyssey have had a chance to do so on a competing platform. Even I couldn't resist and have been having a blast on my iPad for the last five months. 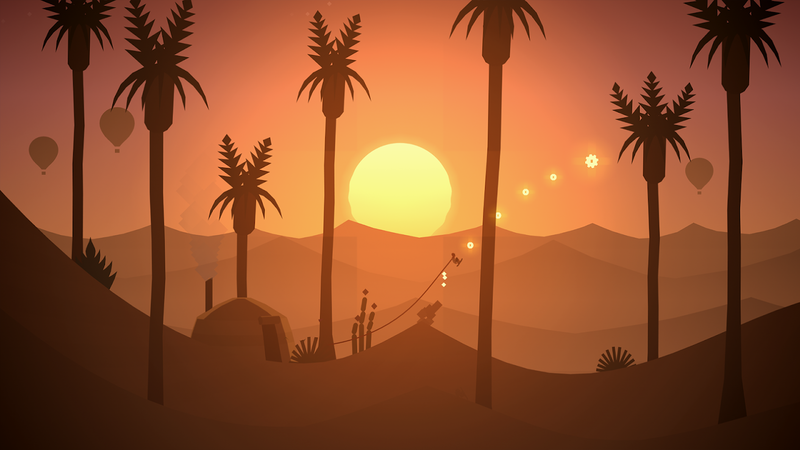 This can make it a lot more difficult to want to purchase the game a second time around, which is why I appreciate the fact that Alto's Odyssey is free-to-play on Android. Every single one of us can download the game to see how it plays without ever going out of pocket. 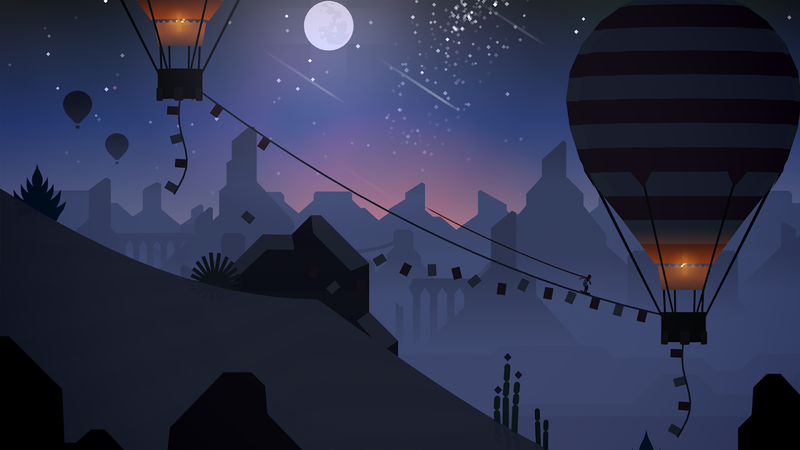 The gameplay is largely the same as it was in the original Alto's Adventure. Tap on the screen to jump, and hold that tap to start a flip. The longer you survive and the more goals you complete, the better. As you complete those goals you will earn in-game currency, which can then be used to purchase helpful power-ups. This doesn't mean there aren't a few new features to get excited about though. There is a new Zen Mode for those that prefer the simplicity of a true endless runner. There are no scores, no coins, and no power-ups. It's just you and an endless desert. Of course one of the most notable changes is all of the new environments. Instead of being stuck in a winter wonderland, you can now explore deserts, beaches, canyons, and temples. Despite the free-to-play listing, the included in-app purchases aren't that bad at all. They range from $0.99 to $9.99, and you won't need to pay for any of them to enjoy the game. Now, if you would like to support the developer, I would at least suggest spending $1.99 to remove the pop-up ads. Beyond that, every other IAP is either for convenience (such as coin doublers) or for unlocking new characters. Oh, and the highest IAP of $9.99 will unlock every character in the game, which is an excellent option for those of you who don't want to grind for them. Google Play Games Services are included, so you can expect to find leaderboards and achievements, and supposedly cloud saving will work the same as it did in Alto's Adventure, though I have had trouble getting it to work, so your mileage may vary. 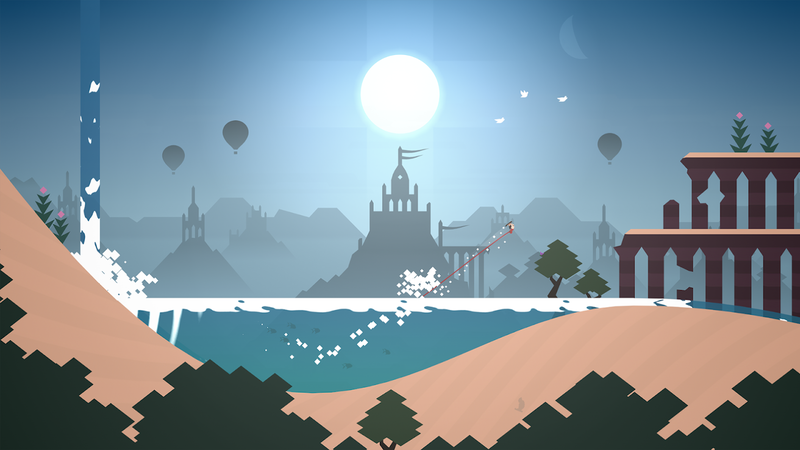 It's no surprise that Alto's Odyssey is a fantastic endless runner. The first was a breakout success for a good reason, and this followup polishes everything you loved about the original. It also helps that it has been available on iOS for months. Plenty of reviews have already been written, and every single one of them is glowingly positive. We knew this would be a hit before it ever landed on Android, and despite a lower amount of buzz surrounding our release, it's totally worth picking up all the same.